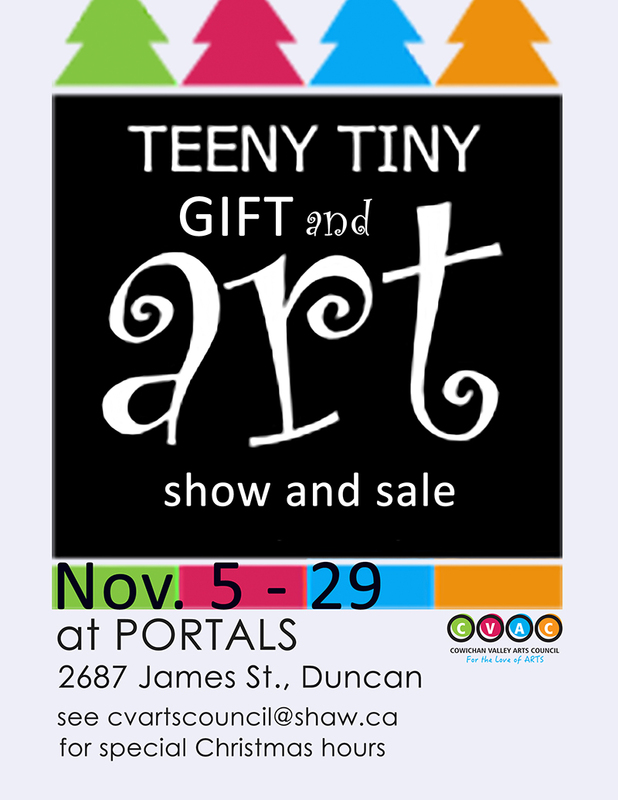 TEENY TINY Art WORKS – A Fine Art Gift Sale featuring Cowichan Valley Arts Council members. 2D works 8"x8" and smaller; 3D works 8"x8"x8" and smaller. Great gift options! 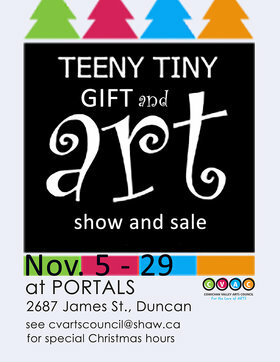 All works priced between $25 and $150. Limited art cards bundled in packages of 6 ($25.00).